People moving to Sumner County often leave behind their network of friends and acquaintances. 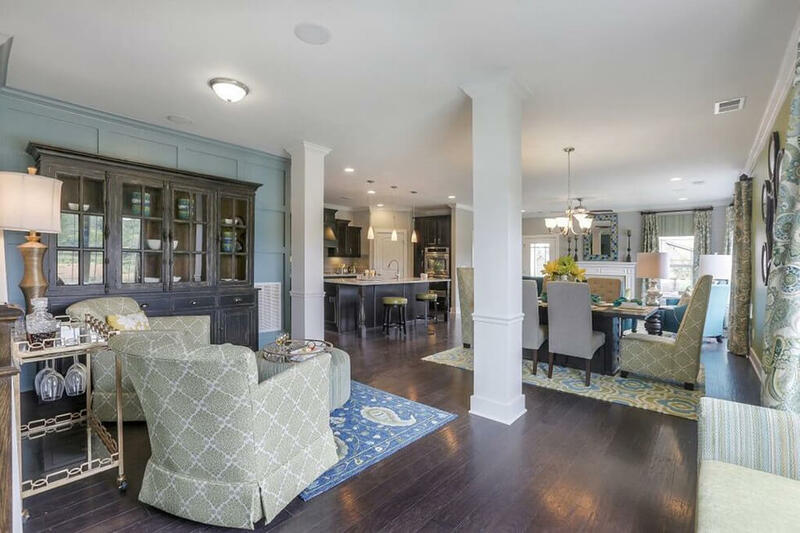 But when they purchase a home in two new Hendersonville “lifestyle” neighborhoods, a community comes with their new house. In both neighborhoods, Durham Farms and Millstone, residents can participate in clubs and social activities, all professionally planned by a lifestyle director. That appealed to Debbie and Dennis Doerr, who purchased a house built by Drees Homes in Durham Farms. They moved in last spring. 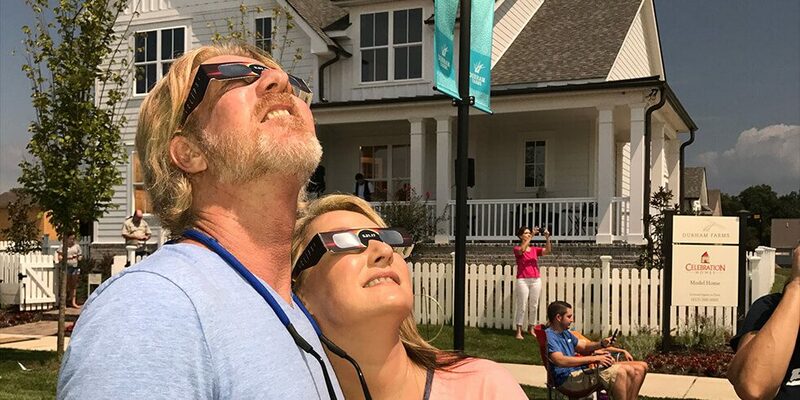 “Before moving to Durham Farms we spent time visiting the surrounding Nashville area trying to find a community that would be a good fit for us. The lifestyle approach was very important in our decision to settle here and we have been very pleased,” said Debbie Doerr. Durham Farms, on Drakes Creek Road between Vietnam Veterans Boulevard and Long Hollow Pike, will have more than 1,000 homes. It is being developed by Freehold Communities. Millstone, being developed by Goodall Homes off Saundersville Road, will have 614 homes, including single-family houses, cottage homes, villas and townhomes. “My husband and I had relocated 11 times during our marriage. Meeting people is a great way to make a new area feel like home. Everyone in Durham Farms is new and looking to meet their neighbors. Being a ‘front porch community,’ it makes it easy to talk with neighbors and meet new neighbors that are just out taking a walk. There is even a social director that constantly organizes monthly activities to help bring neighbors together,” said Debbie Doerr. Lacey Edwards, Durham Farms’ lifestyle director, describes herself as a cruise director, but without the water. “I connect residents to each other through events and shared experiences, and from that friendships are born,” she said. Recent activities include a murder mystery dinner with a 1980s prom theme and the neighborhood’s first Harvest Fest, which included a petting zoo, a horse-drawn carriage, live music and other activities. 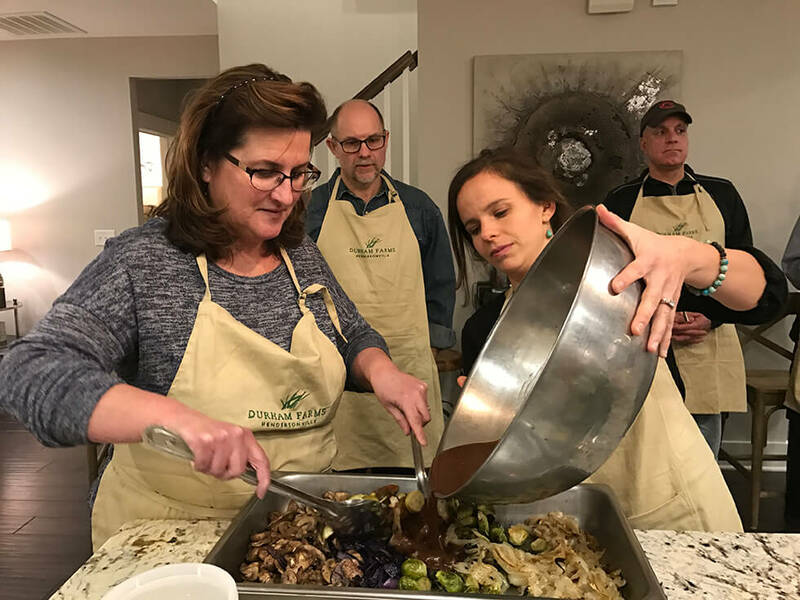 At Millstone, residents were recently invited to participate in classes led by the University of Tennessee Agriculture Extension Service, said Jana Pastors, community lifestyle director for the neighborhood and other Goodall Homes subdivisions. “The kids got to learn all about pumpkins,” said Pastors. She also arranged a farm-to-fork dinner to introduce neighbors to Sumner County’s farmers and produce sellers. A social committee of residents hosts events, as well. “They are all about the lifestyle,” said Pastors. Both neighborhoods are designed to encourage healthy lifestyles and outdoor activities. Millstone’s amenities include a pavilion, resort style pool, a community lake, a fitness center, a playground and a walking trail. Durham Farms offers several miles of paved trails, a Creekside nature trail and green spaces. The design includes a clubhouse, a fitness center, a pool and the Hub, a gathering place with a coffee shop-style café. “Most people are looking for more than a new house or home; they want to engage with neighbors in a community. There’s even scientific evidence behind it. A recent study from the Journal of Epidemiology said that good neighbors are actually good for your heart,” said Suzanne Maddalon, vice president of marketing at Freehold Communities.